Routing Rules determine to which user or user group a file is routed to as soon as that file is assigned to a particular Workflow Status. Step 6. 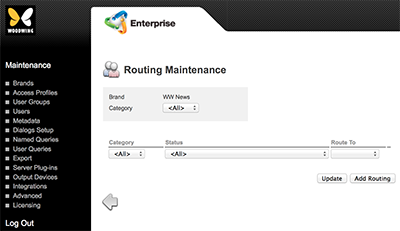 When finished adding rules, return to the Brand Maintenance page.